We sell from a very large selection of flies and poppers, used by fly fishing anglers, for many fish species including freshwater and saltwater game fish. Our trout selection is vast. We are building this selection now. You will see new flies on this site monthly for a time. This is a new online store, that replaced our older version with modern software. 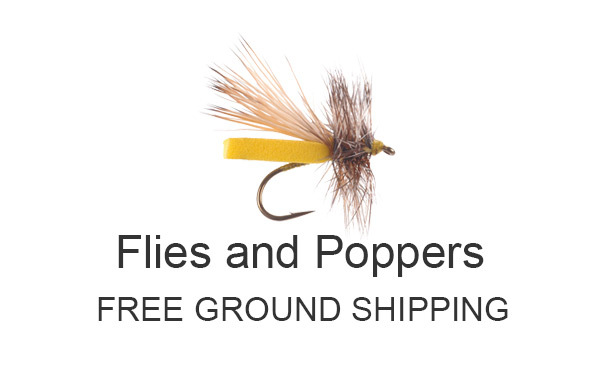 Flies and Poppers is the category we were building at the time this new launched. You can browse through many sub-categories to narrow your search for the flies you may want to purchase.